It’s hard for me not to think of Dungeons and Dragons when I watch Game of Thrones. There are several role-playing games that clone of the setting of Westeros or emulate similar characteristics of George R.R. Martin’s world (my favorite is Pathfinder’s “Game of Crones”). It’s all part of Western fantasy writing and world-building: the recognizable heroes, the reliance on European themes, the standard Asian/African/darker-skinned enemies. Probably what makes me chuckle so much when I watch the show are how many things I can find direct comparisons for in my own role-playing experience. Maesters are clerics, Jon Snow is a min-maxed fighter, Sam got a lucky critical against a White Walker, etc and so forth. I’m not the first to make these jokes, there’s a wealth of D&D/GoT memes out there to satisfy any nerd. But “Beyond the Wall” reminded me that most of the time, I’m staring at monsters and images directly out of the “Monster Manual,” a compendium of ghouls, beasts and dragons for players to battle. Things started innocently enough in season one, where people were saying ‘direwolf’ and ‘kraken’ like they were normal things you just found in the world of Westeros. Even Old Nan telling stories about ‘ice spiders’ made me itch to fetch my Manual and look for a picture. It got a little hairy later, as White Walkers, giants and the Children of the Forest entered the picture, presenting more challenges, but also the stuff from the backpages of the manual, the stuff no one uses. Now, in season seven, we face the prospect of a dracolich, an undead dragon, at the head of an army of the dead. If you thought the D&D comparison was a stretch from the start, think again. This reads like the kids from Stranger Things having a game night. Day 0: Jon’s band of aging heroes ventures north of the Wall to capture a Wight and bring it back to show the queens at the armistice. Night 1: The ragtag band is surrounded, and Gendry is sent back to Eastwatch to get a raven to Dragonstone. Morning of Day 1: Thoros dies. Daenerys gets the raven, and flies off with all three dragons to mount a daring rescue. Midday of Day 1: The army of the dead marches across the ice, forcing the adventurers to the top of their island. Afternoon of Day 1: Daenerys and her dragons save the day. 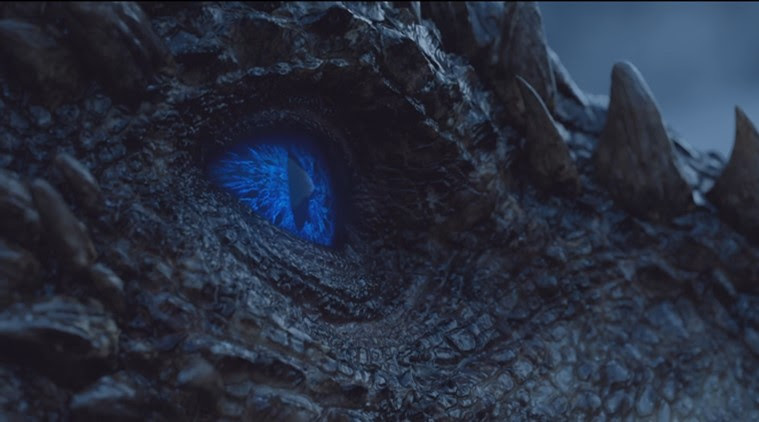 A White Walker kills one dragon, and Jon tells them to leave before things get worse. Daenerys flies for Eastwatch. Evening of Day 1: Jon is saved by Benjen Stark and returns to Eastwatch just as Daenerys is getting ready to leave. Morning of Day 2: Everyone’s on a boat heading south. Granted, Jon got to Eastwatch from Dragonstone in the previous episode (by boat, not dragon, but OK). Granted, the White Walkers and their army were already pretty close to the Wall before the heroes went north. I’ll even grant that Gendry, by himself, could know exactly the right direction to run in, never having even seen snow let alone the North, and make it to the gates of Eastwatch. But I fail to see how a raven and a dragon fly at the same or even comparable speeds. It’s hard to believe that Jon just happens to show up, unconscious, on a horse that somehow knows where Eastwatch is and what’s the fastest way to get there. There are just too many cute little coincidences and happenstances that, in the end, all add up to either a very silly show or a really well-timed game of D&D.